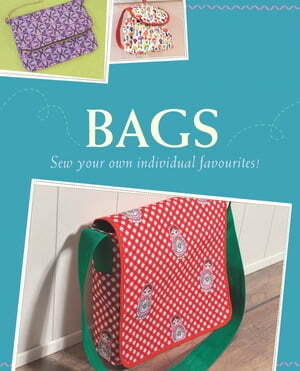 Collins Booksellers - Bags by Yvonne Reidelbach & Rabea Rauer, 9783815588420. Buy this book online. We promise you'll find the bag love of your life! Whether for a stroll around the city, your daily shopping, an evening party, a picnic in the country or a weekend trip, it's always much more fun with the right bag - practical, and yet fashionable. However, it's not always easy to find the right design - so why not just make your own favourite? Choose the bag you like best from the many different shapes and sizes, and then there's nothing to stop you from having a great time. Made in the fabric of your choice, a shopper, handbag, weekend bag, shoulder bag, clutch, casual pouch bag or bag with handles will be totally unique. And there are also various ideas for strong bags for children so they are well equipped for school or leisure activities. The designs are all accompanied by excellent photos, a list of materials and detailed step-by-step instructions.